Do you tend to worry endlessly even on the slightest thing? Or feeling nauseous when you’re overwhelmed with daily stressors? When my business failed and leaves me in a financial ruin, the days of endless worries developed into anxiety and depression. After a seemingly endless downward spiral, I decided to get a grip back on my life. I was never officially diagnosed, nor prescribe with medications. I could ill-afford expensive consultations and decided that self-help resources are good enough. Nevertheless, the chain of negative thoughts and emotions continue, until I stumbled on a program that contains elements of hypnosis. It felt like a gasp of fresh air after suffocating for so long. Thus, I became highly interested in hypnosis and realized that it was nothing like what is depicted on Hollywood movies. Anxiety is not something that people discuss openly, at least not in most communities. But that doesn’t mean that anxiety does not exist. In fact, 18.1% of adults in the US suffer from anxiety each year making it the most common mental disorder affecting the population. While each of the disorders is characterized by specific details, they do share some common symptoms. If you’re experiencing some of these, chances are, you’re suffering from anxiety disorder. When you’re suffering from anxiety, it may seem that you’re losing control of your life. But anxiety is highly treatable by medications and other alternative treatments. I will refrain from voicing my thoughts on medications, as I’ve never been on any. But I’ll share my thoughts on hypnosis, and if it works for anxiety. Unlike what you’ve seen on TV, hypnosis is not minded control, nor do you fall asleep by staring at a clock watch. Hypnosis is a practice that allows your subconscious mind to be dominant while you’re in a wakeful state. Hypnosis allows you to enter a superconscious state which is also known as hypnotic trance. This happens when the hypnotherapist guides you through a certain process of visualization, suggestions and specific tone of voice. Instead of falling asleep, the hypnotic trance is a state where your senses are enhanced and you’ll be feeling calm, relaxed and focused. As your subconscious became dominant, the hypnotherapist is able to provide useful suggestions which translates into more effective learning for the mind. Can You Treat Anxiety With Hypnotherapy? Hypnotherapy, the application of hypnosis as an alternative therapy, is a growing practice to address mental disorders like anxiety, depression and other phobias. When you’re in a hypnotic trance, the hypnotherapist can either offer suggestions that causes your mind to learn new habits. Alternatively, the hypnotherapist can identify the causes of your anxiety easier in a trance, as there are no conscious arguments that act as a barrier. Performed by professional hypnotherapists, they can rewire your thoughts that allows you to react differently to the same trigger. For instance, after undergoing this self-hypnosis for self-esteem, I no longer feel self-conscious when entering a public space. Instead, I feel assured and confident when I’m walking into a room of strangers. I’m not saying that hypnotherapy is the ultimate cure for anxiety, but by undergoing regular sessions, you’ll notice a change in how your mind reacts to negative emotions and triggers. Hypnosis is also linked to neuroplasticity, a phenomenon where the neural pathway in your brain changes through repetitive actions. Besides the long-term effect of hypnotherapy, the hypnosis session itself also provides a breather to an anxious mind. When you’re brought to a super relaxed state of mind, you’ll be amazed that your mind could be so calm and unaffected by the usual worries. If you’re thinking along the line of having your mind controlled by others, or turning into a zombie, then the answer is no. Hypnosis is generally a safe practice that has been shrouded by myths and misconceptions. In any hypnosis session, you’ll be completely in control and have the ability to break out of the trance on your own. With that said, there are certain occasions hypnotherapy is not a suitable option. Hypnotherapy is not recommended for people who are suffering from hallucinations. delusions or taking drugs and alcohols. There is also a risk for patients to be implanted with false memories if it is being used to recover repressed memories. This makes hypnotherapy a debatable approach for mental disorders like disassociative disorders. You don’t want to have a poorly trained hypnotherapist trying to shape your mind with half-baked suggestions. First of all, the hypnosis session may be ineffective and you’ll be left wondering why you’re not experiencing the hypnosis trance as depicted above. Secondly, using hypnosis to treat anxiety is very different from performing a stage hypnosis act. You’ll need a hypnotherapist who’s also trained in treating anxiety so that any symptoms can be addressed effectively. In this case, you’ll want a clinical hypnotherapist who’s recognized by associations like the American Society of Clinical Hypnotherapist. The understanding of hypnosis and mental disorders allow the clinical hypnotherapists to apply hypnosis effectively. Should You Try Self-Hypnosis At Home? If you have access to professional clinical hypnotherapists, I would suggest undergoing regular sessions. But if such therapies are expensive and are not covered by healthcare insurance, self-hypnosis in your own home is a good alternative. The beauty with hypnosis is that it works without the need for the hypnotherapist to be physically present. All you need is to download a self-hypnosis script audio that is narrated by a trained clinical hypnotherapist. To have the best effect, I’ll suggest sitting on a comfortable couch and listening to the self-hypnosis with a headphone. Listen to the hypnosis track with an open mind and you’ll find yourself sinking into the hypnotic trance. 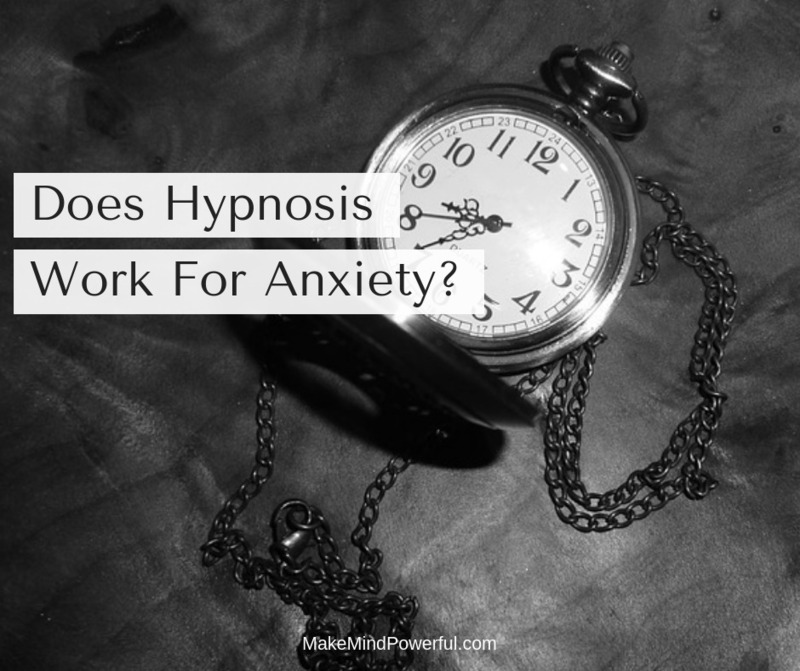 Have you tried hypnotherapy for anxiety? How does it turn out for you? Share your experience in the comment below. Hypnosis For Social Anxiety – Does It Really Works?